THE SUM IS GREATER THAN ITS PARTS. 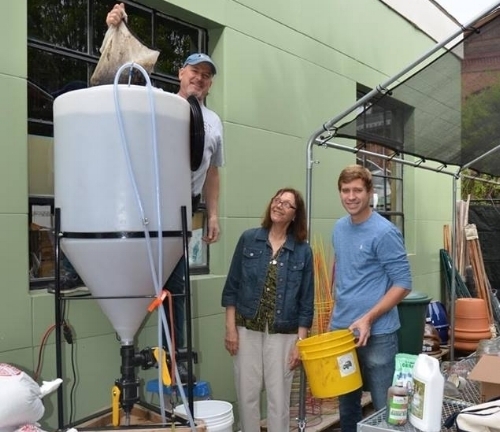 Beginning in the fall of 2015, a group of individuals with varying degrees of interest in vermicomposting met monthly to discuss what a worm farmer cooperative could look like. From that large group, ten people came together to create the Rhode Island Worm Farmers Cooperative. Current members includes a chemist, teacher, business managers, jewelry artist, engineer and commercial worm farmers. Members pool resources to further the mission of the Cooperative. Membership not only means joining a passionate, close-knit community, but also becoming part of the sustainability movement in the broadest sense possible. Support owner-operators with a democratically organized cooperative to provide a market for their products. Establish a community where the benefits of members’ experience can lead to an exchange of technical information and advice. Support sustainable farming practices in our community. Communicate to the public the ease and importance of vermicompost. We test all of our worm castings microscopically to ensure diverse populations of beneficial micro-organisms. Each batch of tea and castings is tested before distribution to insure that a threshold level of diverse microorganisms is present in each batch.